Just a few of my thoughts on a regular basis. Nothing more, nothing less... maybe nothing worthwhile at all. Just stuff from my head to your eyes. Prayer happens everywhere, even in the tanning bed. I could have sworn I've blogged about Rebekah Joy. I've been through this whole blog and while stopping occasionally to read a bit here and there from long forgotten posts, I never found one blog post about her. Bizarre. There have been mentions here and there with assumptions that y'all know who and what I am talking about but lo and behold, I've not seen anything formal about her. I'm not going to start a blog about her. I normally would but I'm too emotional tonight. It's been a long, long time since I've been emotional about Rebekah's death 17 years ago. I was trying to remember why I was rarely emotional and I think I've realized that the Gman was always so incredibly out of sorts that I felt like I had to keep my composure. That hasn't happened this year, I wonder how much Elli has had to do with that. Maybe it's just been time. Having a dead child is sorta strange. Mostly, I think, because none of us think we will ever be THAT family. You know, THAT family with a dead baby, or THAT family with a murdered child, or THAT family fighting cancer... it's always someone else's family. Seventeen years later, I walk by the large piece of art (for lack of a better term) that I had made to mount Rebekah's pictures and gifts etc in, and shake my head. I stare at those things, things that I've seen every day for many years, and still think, "I can't believe I have a dead daughter." I think about that in such a shockingly sad way because I rarely have the time to just sit and stare and take in the reality of WHERE she is. When I do take the time to THINK, I am no longer sad - at all. I actually think it's pretty awesome. I actually think - "well, wouldn't a really GOOD mother want her daughter to live in GLORY with the King?" I remind myself that she is having the best life of any of us and that there's nothing sad about her life. I wonder what she's thinking as she observes all that her family is up to right now? I wonder if she laughs because she is privy to so much that we aren't and I wonder if she shakes her head and laughs at things we think or do or say because she knows what's about to happen? I wonder if she even spends time at all looking at us or is she busy doing the work God has her doing and realizes that we will be together soon enough? This week 2 adoptive families held their dying children in their arms and said one last "I love you". Six people died in the Gulf because the tides were stronger than they thought. Hundreds of children all over the world left the arms of their parents for eternity in one way or another. It is tragic. All of it is tragic. The broken heart that death, especially the death of a child, leaves behind is unlike any other. "Your past doesn't define you." is what was said in our Lifegroup class this past Sunday. That is true, it sure doesn't have to. But, as I countered, how we respond to our past DOES define us. It defines exactly what we believe and in WHOM we believe in. I am sad tonight because I carried a little girl inside of me for almost 9 mos and never got a chance to mother her. I was created to mother her. There is something forever missing. Much of our lives, at least each June 11th will be defined by whatever "stage" of life Rebekah Joy would have been in had she lived. I rarely cry about living apart from her anymore though. I have 5 other children that I need to define myself for. Much of what they believe to be true of their Heavenly Father will come from how I handle the things - good and bad, happy and sad, that "life" throws at me. They NEED to see that life and it's hardships are not a match for an unwavering and firm trust in the Sovereignty of God. I suppose I will realize the definition of "me" soon enough. Happy Birthday Rebekah Joy.... we love you from afar but know that one day we will be together. It was 12 years ago this month that we were packing up our house in Brandon, MS to move to Jacksonville, AL. I can't deny it. I was pumped. I didn't love Mississippi. I don't know why... well, let's just say I didn't know why. Now I could give you two handfuls of reasons why I didn't love it all those years ago but even then, I knew, something may not have been right about moving. Then Moses said to him, "If your presence does not go with us, do not send us up from here." It is unlike me to not want to go on and on about why Moses said what he did... read it. It's beautiful. That's exactly why I chose to pray those words as well. I didn't care for Mississippi but I did love our church and I loved our friends and the thought of leaving them made me sad. I had left friends before. I had left friends all my life. I was a professional at leaving friends. The Gman had a fantastic job opportunity and I just didn't think we could pass it up. I had decided many years before that I would not ever be the reason the Gman accepted or turned down a job. I'd much rather have to learn to love a place I didn't particularly like than feel a sense of resentment from the man I was planning on spending my whole life with. So, I thought, I will pray this. I will pray this because I believed it. I wanted it. I didn't care what the outcome of praying it would be, I wanted only that God go before us. If I didn't know that He walked ahead of us, leading us, I couldn't go with any confidence. It didn't take very long before all of our hopes for our AL move panned out and we were saying our goodbyes. Goodbyes to some of the most important people we'd had the privilege to share life with. Literally our last stop before driving out of town. I hadn't thought about that move in so long. Kate had yet to be born - we had put more babies long out of our minds. Elli wasn't even on the radar - I am not sure we ever thought about adoption for our family since the couple of years early in our marriage when we were unsure we'd be able to have children. Then, very early this morning, when I should have been sound asleep, I heard Without you by Shane and Shane. All the memories of that move flooded back. It's the flood, something that is usually synonymous with danger, death, and damage that in my case is just the opposite. I moved excitedly to Alabama. We were in a little quaint town. We didn't have a Colonial Heights Baptist Church there but we did find a sweet fellowship and dove right in. We decided to build our first house and I found out I was pregnant, very unexpectedly... it was an exciting time. The towers were hit. I was left alone with 3 boys, homeschooling, unpacking a brand new home, vomiting with a 5th pregnancy. Feeling quite old and very tired and without many friends. I began to tear up, then I began to cry, and then the floodgates opened and I began to weep. I began to weep for what I had walked away from, what I had so selfishly left behind. Before we had been gone for 3 months, I was begging God's forgiveness. Begging God to somehow, someway, send us back. It would take over 8 years, two states, and some really difficult times before one night, at the dinner table, in front of my children, I began to weep again as I saw the Gman walk into the kitchen from a phone call he received from Headquarters. The smile on his face spoke volumes and I could not hold back. I cried so profusely that my kids thought a close relative had died. Eight years of begging, hoping, praying and here it was, the day that I had waited for. I was going home. I never had a home. As a child I moved every 2 years give or take 6 months until I graduated from High School. Then I married before I finished college and moved colleges. Then proceeded to marry a man who determined to move me every 2 to 4 years. I realized that day, that I had a home. Home really is where the heart is and my heart was in Mississippi. A strange place for a girl who spent the first 20 years of her life above the Mason-Dixon. The reality was though, that it wasn't the place I was going back to, it was the people. My family was there, my brothers and sisters in Christ that I so dearly treasured. Randy and Faye Cress who we so loved that we combined their first names into Kate's middle name Raye. I remembered the first day we drove to church. The day we were going to go forward at the end of service to join - re join - the church we yearned 8 years to return to. My stomach was fluttering and my composure was tenuous at best. But it was a feeling I promised myself I'd not forget. I didn't. Just yesterday, as I drove onto the church property, I remembered that first day back, all over again. I felt those same flutters and smiled to myself. Do I think it was a mistake to leave? Did God really go before us? I don't know but yes He did. I know He did because I don't believe, on our own, we would have followed the difficult path necessary that led us right back here... right back home. I've never been successful trying to run a home business. Partly because I've not been "sold out" by the product (please don't compare this sold out to being sold out for Christ b/c there will never be a comparison). Partly because I am just not a sales person. Friends who have been incredibly successful with their businesses have been very aggressive in their sales techniques and I have always been uncomfortable with doing that. I have always desired to choose what I wanted when I wanted it and didn't feel the need to have someone present their product to me through a phone call or a visit or in whatever form or fashion you have to do that. I refuse to even sit through a condo presentation for a free week of vacation. Oh how Michael has been disappointed over and over again as he would rather scratch out his eyes through one of those presentations if it meant our lodging was free than spare himself the agony. I could never bring myself to do it knowing full well that either we didn't have the money to invest in a condo regardless of how much we wanted to or we just weren't interested. I felt that it wasn't fair to the sales person. And then... Obama won his second term. Yes, a lot changed for me when that happened. Since Michael is a government employee I became concerned about how much control the Feds have over our income, our savings and our retirement funds. Without going into gross detail of why I'm concerned let me just say I would not be surprised if there was a day when we were informed that our retirement savings had been confiscated for the good of the country. My faith is not in our retirement account but it would be much easier to pay our mortgage when the time comes if we actually had money to pay it. In addition to wondering how I could possibly add to our income without sacrificing my mental health and what I wanted for our family and what God had called me to do as a mother I had been increasingly interested in some of the natural foods and remedies introduced to me by my sister-in-law, Na. Na had been diagnosed with Ovarian cancer years ago and upon it's re-occurrence about 5 years ago and going through yet another year of Chemo, had decided to investigate other areas of healthcare. She had given modern medicine the good college try, twice, and was missing out on her life and the joy of her family because of how dreadfully sick her treatments made her. 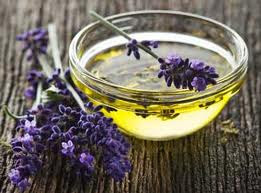 Among so many things she taught me, informed me about, and introduced me to, essential oils piqued my interest the most. To me it was something that I could introduce to my family and incorporate into our lifestyle. Although I have a myriad of doctors and pharmacists in my family and am in no way anti-medicine, I am a "look at the big picture" kind of person. I have never believed that it was the best way to go to rush into the doctors office or to rush to the pharmacy when I could pinpoint in my own behavior what could be causing some of my problems. I also took notice of the spiking numbers of certain illnesses, especially in children. No, I don't believe vaccines cause autism. Too many children have gotten vaccines and not become Autistic for me to believe it's that simple. However, I do question the numbers of vaccines that are given at the same time and the cocktails that are being made to turn 3 vaccines into one. I even refuse to allow our vet to give Elliot all his annual shots at the same time because he gets dreadfully ill when he receives them all in one day. If an animal can get that sick over a handful or less of shots at the same time, imagine what it does to a precious baby or toddler to receive all that medicine in their bodies at one time and then to process it all. Common sense says that it can't be a good thing. We have become incredibly complacent in this country. Trusting the "professionals" above our own instincts or intuitions. For my grandmother or mother it was trusting Walter Cronkite or Dan Rather as if they didn't ever have their own agenda and were never gate keeping or skewing the news. We have since found out that, frankly, we can't fully believe any news source and thanks to technology we have the ability to investigate and compile our own information and to search many sources all over the world to find out what is truth and what is questionable. In the same way, it seems like the medical community has relied on what the FDA, a government agency, has suggested for far too long as if they have never been wrong in devastating ways. The truth is, people are fallible, just because a group of people suggest that particular drugs are safe doesn't mean they really are. Just because a group of people suggest that a particular drug or surgery will solve your problem doesn't mean it will. We put too much pressure on our precious doctors and pharmacists to have all the answers for us when we fail to look in the mirror and admit that there are things we can do ourselves, lifestyle choices that might need to be changed, that can make all the difference in how and if we need to be treated at all. As I have watched the numbers of illnesses rise in remarkable ways I have begun to wonder why so few in the medical community have asked the public to consider what we are eating, drinking, or injecting. We seem to be so eager to discuss what we are breathing in and working so hard to be careful about what we are putting into the air and yet the concentration of "pollution" in our air is not nearly at the levels we breath in as what we ingest. Don't misunderstand me. If you have read carefully you understand that I am in no way anti-medical or anti-pharmaceutical. I've had surgery and been incredibly grateful for the drugs that put me to sleep and eased my pain. I've had illnesses that have warranted medication that I have been thankful to have available to me. I've given my children medicines to ease their discomfort and or to rid them of illnesses that have set them back. All of my children have been vaccinated to the degree that is necessary. I am grateful that God has blessed us with men and women who work diligently in every arena of medicine in order that we can have the health that we have so blessedly attained in this country. I'm also incredulous when I learn of ways we have been able to help others in countries with little to nothing in the form of medical care and how their people have been saved by the thousands because of something that to us is simple and easy. I refuse to believe that there aren't other options that we as intelligent beings could be doing to help ourselves before we pass through the doors of our local doctor's office or pharmacy. So many of us pack out doctor's offices and emergency rooms because we don't want to adjust our living conditions, our habits, our lifestyles to feel better or to get well. We would just rather have the doc lecture us and write a prescription that will get us back on our feet until the next time we have a set back. It was obvious to me that Na wasn't going to beat her cancer with the Chemo. It was also obvious to me that if she continued on that path she would die with absolutely no quality of life or precious memories with her family. In my opinion she took the right road. She changed her family's lifestyle in many drastic ways and for the next couple of years looked healthier and happier than I'd seen her in ages. She enabled my brother, through her altering of their diet and other lifestyle changes to completely remove his high blood pressure and diabetes medications from his daily ritual. He looked 10 years younger in a matter of three months. All of this happened because she chose to change their eating, cleaning, and cosmetic habits. In short, she took the chemicals and additives away from their food, cleaning products, and cosmetics (everything from soap to shampoo to mascara) and before my eyes, I saw a family physically transformed. None of it was lost on me so when a couple months ago I saw an almost free book for my Kindle on Essential Oils, I pounced on it and began to read it. It was fascinating and as I read I wondered how I'd get a hold of all those oils that she wrote about. How would I be able to utilize them in the ways that I thought necessary for my family? Days later, not coincidentally, I was listening to a podcast by one of my favorite preachers, John MacArthur. It was on being a woman of God and all that entailed and he focused on Proverbs 31, of course. I was waiting for the feeling of inadequacy that I was sure would come along with listening to his message but that is not what happened. What I heard, what stood out was his comment about how she had a job, she earned money, she bought land. She did all of that without sacrificing her family. I knew then... I needed a job that I could do at home. A job like all those other "jobs" I hated so much. How was I going to find a company selling a product that I thought I could totally love, use completely, didn't see as a passing fad and feel sure that I was participating is something legal, fair, and ethical? The biggest set back was to find a business that wasn't already over sold in our area. Within two days the Lord put all that I'd been struggling with together in a little sweet smelling (literally) package. It was called doTERRA. 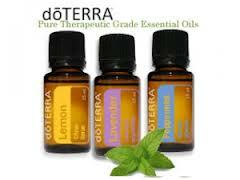 I had never heard of doTerra before so I was intrigued. To add to my excitement to discover such a company, I was introduced to it through a friend who I'd not spent quality time with in several years and this meant we would be able to reestablish our relationship. I was thrilled. The more I investigated the product and their compensation package I realized that this was something I could dive head-first into. This was something that was so perfect for our family and the lifestyle we lived and what I wanted to provide for all of us. These would naturally be a part of our everyday life and it would be easy to share my love of essential oils with my friends, family and anyone I met that might be interested. I also loved the fact that these oils would so perfectly coincide with other businesses and lifestyle changes that my friends were involved in. Essential Oils so perfectly piggy back the healthy lifestyles that my Advocare and Isagenix friends are working toward. Other friends have made commitments to a healthy lifestyle this year by dieting and going to the gym. What a perfect addition to their new habit forming by adding Essential Oils to their new habits. I have so many friends with new babies and young children that are struggling to figure out how to keep their home clean without all the chemicals used in today's products. Essential Oils solves that problem as well. There are just so many ways we can bless our home and family with these oils that I couldn't turn down what I thought was a great opportunity. So, all this to say, I'm in. I'm in in a very big way. I've decided to call my company Elisha's Joy referencing 2Kings 4:1-7 and Isa 61:3. I will be holding classes all summer with special guest teachers/speakers from this area to enable you to learn how to "Makeover Your Medicine Cabinet", "Care for Baby in a More Natural Way", and even how to "Clean Up Your Cleaning Up"
My first class will be a "Makeover Your Medicine Cabinet" on June 4th at 6:30 here at my place. If you are at all intrigued by what I'm up to. If you know a little or a lot about Essential Oils and want to put it into practice even more than you have. If you are, like I was, looking for a way to invest in a business that won't negatively affect what you know God has called you to do and be for your family. Plan on coming to our gathering. Facebook or email me if you'd like directions. I'd love to see you there. It's 4:22am. Not untypical to be sitting in the kitchen at this hour having not slept at all. One can lay in bed staring at the ceiling trying to solve the world's problems only so long before one must move on. For this "one" it's popping in the headphones and putting on a podcast hoping to be lulled to sleep hearing scripture or some phenomenal preaching from the Word of God. I don't lay in bed thinking that much anymore. At my age there's too much to mull over. Too many losses and not enough victories for me these days. When the kids were younger victories consisted of one child getting more food in his mouth than on the floor. Another child successfully reading a page in her assigned textbook. A third merely toddle-ling through the day without breaking an older child's Lego creation. Back then, I could lay in bed for, well, minutes thinking of victory after victory after victory while drifting off to sleep and sleep well. These days I'm not remotely as physically exhausted as I was then. I have even been known to tell younger mothers who are not looking forward to the teen and above years how much better it is when you are not so tired all the time, when you can communicate with your kids at a much more mature level, when you can have expectations of them and hold them to those expectations because you are no longer worried about their level of understanding. I've been known to mention how much I adore moving away bit by bit from parent to friend. I am pretty sure I still believe almost all of it. I have been known to say those things 2 years ago. Two years before my oldest son moved out and far away with the US Air Force. Two years before my second son moved out, not far, but out none-the-less, taking college classes and working almost full time. Two years before my third son's musical talent and desire to serve God professionally became too obvious to deny, and our responsibility regarding that became too large to ignore. Two years before my youngest child, our only living daughter, spoke to the Lord about adopting a little sister. Two years before I flew with part of my family to China to bring home the daughter I didn't know, two years ago, I had and was desperately missing. A daughter that has sent me back to sections of our church building that I'd long ago said good bye to. Now, I lay awake at night wondering about the decisions my two oldest are making. Wondering if they fully understand that each decision they make will have some sort of impact on their future and maybe even the future of our entire family. Knowing that I've spoken those exact words to them many times and hoping desperately that they hear those words like a clanging gong in their ears with each step they take. I lay awake knowing that they know the Word of God. That they know life as a believer, the implications, the peace, the refuge... the struggle. I lay awake knowing that at any point in their morning, noon, or night that struggle might become too hard. I pray that God will put His hedges around them, that He will speak powerful words into their heads, that the Holy Spirit will remind them of the power they have in Him. I pray they aren't too exhausted from the struggle to hear. I lay awake and plan my strategy in case. Finally, tonight, I reached for my earphones wisely attached hours ago to my phone. I shoved the phone deep under the covers and looked at my podcast options. Al Mohler... I have come to adore listening to him. I listened for over an hour to "The Briefing". His daily 20 minute podcast that sums up the events of the day with a Christian worldview. Upon realizing that I'd gotten up to date on all of those and I was still wide awake I figured I'd take a stab at listening to his other podcast called "Thinking in Public". These are usually interviews with well-known (to him anyway) authors from various venues speaking about issues that should be on the radar of anyone with a serious Christian worldview. Tonight's choice? "Economics as a Moral Enterprise" the author? Arthur Brooks. I had no idea that right there, in my bed, at 3ish am, questions, concerns, conundrums, oh so many things, would all come together for me during the hour that I listened to their discussion. Suddenly I heard this man articulate exactly why I have not been able, in 20 years, to understand "the left" and why they do and say and think as they do. You cannot understand how desperate I've been to realize this. I have carried a weight of incredulity on my shoulders, more correctly, in my gut, for what has seemed like forever. I have carried these feelings because I have refused to believe that "they" could really believe what they believe. No matter what I read, who I listened to, what I watched, I found no answers. To be honest, I have felt more despair this week - in 4 days - than I've felt ever, regarding the future of our country. You might think coming from a Christian, that is impossible. I know Who the REAL leader is. Yes, of course I do. I also believe that this country I live in, that I love, was a gift from God. I also believe we have squandered this gift, we have taken it for granted, we have forgotten what it took to embrace this gift, and we have refused to acknowledge Who gave the gift. However, we still assume the gift will be ours to enjoy regardless. It is because of these latter things that I believe God's hand is no longer on our once great nation. The second half of Romans 1 has me convinced of that. And yes, sometimes I'd lay awake at night and wonder what the future will hold for my kids. As I listened to this interview I was stunned at the kinds of things Mr. Brooks had to say. It began to make sense to me, why I always thought economics was so important, why I was always intrigued by it's implications, why I never thought it was about money and numbers but about a philosophy and way of life. Then he, Mr. Brooks, quoted Bach... he said he plays music "for the good of man and the glory of God". Can we "do economics" for the good of man and the glory of God? Absolutely! Specifically, the Free Market Economic System, is the ONLY economic system that would allow for this. The very system that we have embraced... until now. The whole while Mr. Brooks demonstrated how morality is the foundation of all of economics and without it nothing can flourish. That ideal we conservatives throw out into the crowd every chance we get and the one thing that hangs us every time because so many of us really don't want to live our lives that way. It doesn't hang the liberals because they rarely, if ever, have discussed morality as a foundation for anything. Yet, Mr. Brooks makes it very clear that the only way our country or any country can flourish at all - and the only flourishing is economic in nature - is when it's Free Market and when it's all based on morality. Some of you are reading this, pulling your hair out, thinking that I need to give it a rest, let it go, move on. But I can't. Some of you don't remember the Reagan years, or you are letting others tell you what it was like. Some of you didn't retain or weren't taught in the first place all that was sacrificed for the creation of this country. Some of you haven't lived long enough to realize how much things have changed. I'm 50 now. Half a century old. I hate to admit it but I'm old enough to have seen the changes. I'm old enough to wonder of myself what I, as a little girl, wondered about my Nan... "what must she think about how the world has changed in her lifetime." Foolish me, I only ever wondered and never remember asking. In some ways, that is exactly what makes the Christian life so uncomplicated. The decisions we are freed from making because right is right and wrong is wrong and other people matter more than we ourselves. I think again about Sons 1 and 2 and I wonder what the basis for their morality is? I'd like to believe it's what we, the Gman and I, raised them to understand it to be. Based on the Word of God, to make their burden light, to enable them to grow old with few mistakes and disappointments. To be honest, today, that word is offensive just like every other word that people want to avoid because it's too difficult to face. They'd say it's easier for me. I'd say it's not, I've just had more practice. I received few answers tonight for all that staring at the ceiling, thankfully though, I gained a realization. I learned something really important about me. I learned something more important about "them". I've unloaded a lot in the last three hours or so. It doesn't change the reality of things. I don't feel any better about our country or it's future. I do know, however, that I'll be changing how I speak of things to my children, how I will encourage them to progress toward their future. I realize now, more than ever, that I, their parent, am the only one (along with their father) that can illuminate truth to our children. I realize, now more than ever, that truth has to be more than just verses of scripture or stories of great men and women of the Bible. That truth has to encompass their entire perspective of the world, how it works, where it's headed. They need to know how to live "for the good of man and the glory of God". I foresee more long nights, staring at the ceiling, praying for the right words at the right times to impart more fully what it means to live our lives for Christ. To live in this world to bring Him glory. Then, how to break the news to them that for most of their lives it's gonna feel like an uphill battle, that they are going to want to give up, that they will be lucky if they are even encouraged by the church in their endeavor. How do I let them know that one day they too will be 50 years old. Who knows what they will be writing their blogs on at that point in the technological future? How do I tell them that I want their blogs to say so much more than mine? How do I convince them that when they are 50 they won't care what the world thinks of them, what the country thinks of them, what the city thinks of them but when they sit down at the dinner table and hold the hands of their wives and children, when they bow their heads to pray, they will care only what He and those who belong to the hands they hold think of them. THAT is what will make their blogs so much more victorious than mine. I dreaded this. You have no idea - really you don't. I don't know that there was ever a person who dreaded turning 50 more than me. Well, maybe a movie star here or there who like me felt that her best days were behind her and there'd be little left of her life to really enjoy. I don't feel like there's little life left for me to enjoy. I do feel like I won't recognize it when I see it. I wonder if I've ever really enjoyed my life. I question that because as I reflect my memories are rarely happy ones. I remember disappointing people, disappointing myself, failing to see great things for what they were and therefore missing out on something wonderful. I think back to times when I should have been frivolous just for the sake of making memories but allowed myself to be held back by someone or something. I dwell constantly on whether I made choices because they were the best for me (or so I thought) at the time or whether I really believed they were the best for everyone else. I know I have missed out on a lot. I know it because I haven't used the word fun to describe anything about my daily existence in so many years I cannot remember actually saying "That was fun"
It's possible that my definition is just too severe. I know that I have vastly different definitions of certain words than most do. Usually I attribute that to my complete faith in the sovereign will of God. A word like "crisis" for example, used to describe everything from imminent war to Obama's hangnail in the media these days, has a completely different meaning to me. My definition is far closer to the actual one. I may have thought I had a crisis twice in my life. One of those was when we discovered our daughter was going to die at birth. Even then, looking back, I'm not sure I saw that as a true crisis. After all, it wasn't like God wasn't in control. Honestly, if one really believes in the depth of her being that God really is in control is anything a crisis? That my friends, is the root of my problem. I realized something about myself almost 16 years ago now and I have found that it's negatively affected every aspect of my life. However, it's part of who I am and I cannot disown it, disavow it, or discharge it. I am.... The Queen of Sovereignty. You've never heard of that position before? Well, if it's ever been held by anyone in the past, they have probably worked very hard to keep it a secret. I am not sure I share the title with anyone these days, but I may. They, obviously, have chosen to hide it themselves. Or, if they were lucky, they were able to discard it before it took hold too deeply in their being. Of course I have coined that title myself. It may be known by another name. This title comes with quite a bit of inheritance. You'd think knowing that, I'd be psyched about it. After all, who doesn't want an inheritance? How many of you have ever thought of an inheritance as being a burden? Thanks to my pedigree, I am a Calvinist. There is no other option. I don't mind being a Calvinist. Actually I don't ever battle with myself over that issue. This is one part, maybe the only part, that I don't feel is a burden to me but it is a great burden to most of my friends. Being a Calvinist in a Southern Baptist Church is difficult at best. I have found that there are just some conversations I cannot have, with anyone, it's sorta sad. I lack appropriate compassion. Well, maybe I don't. I probably really have more than appropriate compassion, my brain just gets in the way of knowing how to express it. I have had this problem for a long time. I want to say, for all of my adult life. I think that is so because I have been a believer for my entire adult life and once I trusted my salvation to God, I assumed I could completely trust everything else to Him to. I think this is why my definition of crisis is so extreme. If God is in control, if I really trust Him in the midst of every circumstance, if I believe that He has allowed something good or bad into my life... then why should I fret? Why should I fall apart? Why should I handle any of it in a negative way? Well, because I am human, because things are sad, because tragedies call for tears, they call for sadness, they call for aching hearts that can't be soothed - at least for awhile. But see, that's just the point... that is my burden... I can see that for so many, I can't allow it for myself. But here's the rub. It's not because I think I am better than anyone that has fallen apart when tragedy strikes. It would be like me thinking I'm better because you drink out of a water fountain with your mouth and I use my nose. It's pure idiocy. It's my burden because I cannot overcome what I know is inappropriate for that which is appropriate. My brain has the key to my heart and it's not unlocking it anytime soon. That's also why I struggle with empathizing. It's not that I don't feel your pain, understand your grief, or desperately want to hold you while you cry. I am there, right there with you, I really am. But when it's time I want to say something profound, something I am sure will make all the difference in how you perceive your circumstances. I want to say to you what my brain says to me when I am in a place of hurt. And every time I open my mouth I stop the words. I stop them because they aren't words that will help. They are truth, yes. They aren't words that will help. There are no words that will help. I know that. So I freeze. I either just stare at you, or I ask what I can do... I can run errands, I can watch kids, I can wash clothes, I can clean a house. What I can't do is hold you while you cry because if I do, I will end up saying something like Romans 8:28. Do you know how much you have to keep inside when you are the Queen of Sovereignty? That realization was what made me realize my lineage and understand what I was stuck with. It also helped me understand myself a little better though. 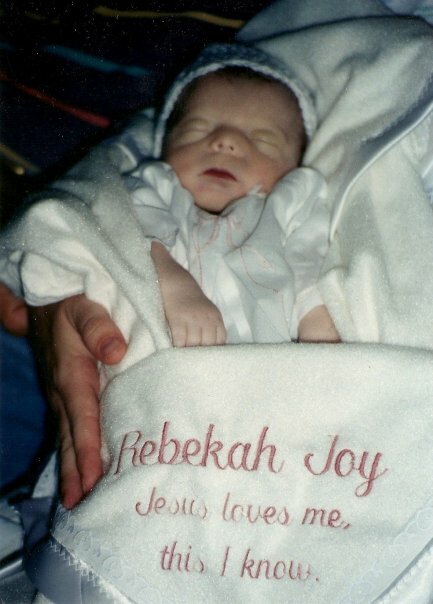 It was almost 17 years ago, in Charleston, SC that Michael and I buried our oldest daughter and third child, Rebekah Joy. I think most people that knew us then would say that in the midst of tragedy we managed to muddle through exceedingly well. They'd be right. It was completely genuine. We didn't try to pretend to be people that we weren't. We saw God's hand in everything and He held us closely the whole way through. 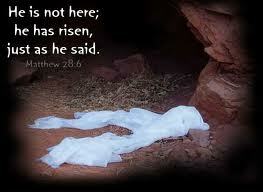 We ended that experience in victory and have, to this day, an amazing testimony of His Greatness to show for it all. Within 6 months of that tragedy Michael was at the FBI academy while I stayed home with 2 boys alone for a little over 4 months. I met each day with enthusiasm and each night with exhaustion but never really slept. Then one day, I got a phone call. Michael told me that he had injured himself and it may be serious enough that it would prevent him from graduating. I collapsed in tears... oh, of course not until AFTER he hung up the phone. I was inconsolable. I probably cried for hours. Obviously the boys were in bed because I'd never let them see me like that. I cried and cried and cried. Why? 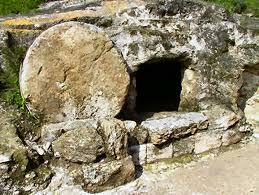 after all, I just buried my daughter. This was nothing compared to that. It was at that moment that I realized I had just been crowned. How could I ever share my honest concerns about having to live through another 4 months of the FBI academy while Michael got recycled? After all, I spent months telling people in testimony after testimony of God's grace and sufficiency in the midst of such sadness. I championed His Sovereign Will in our lives and explained how THAT alone was what enabled me to move beyond the sadness. HOW could I possibly speak to ANYONE about my concern, my worry, my fear that I would have to manage another 4 months as a single mother? Where was my faith? It was at that moment that I said to myself "You are the Queen of Sovereignty, you have to wear the crown." I think that at that moment I could have rejected the crown. I really think I could have, but I didn't. Once I accepted it, there was no turning back. So many of my reflections are what they are because of my royal position. Unlike real royalty, I am not sure there is a way to lose the crown. There are just some things that are so much a part of who I am that the best I can do is to recognize when it is standing in the way and try my best to work around it. I do have some hesitations about writing this "series". I really don't even know what will come of it. I am, however, struggling with being 50. I am thinking that maybe, if I can put it in writing - my thoughts, my feelings - and share it with a few I might be able to make sense of it all. I'm 4 days away from meeting one of God's most precious gifts to me for the weekend. She is a couple years older than I am and is taking her aging by storm. She insists that she's not bothered by it and is living her life with joy and enthusiasm. The timing isn't lost on me. After all... I am the Queen. Yes, I know. it's been way too long and you have missed me desperately. I'm sorry. I'd like to say "I will never let it happen again" but we both know that would not be being honest and you know what God thinks about "lying lips" don't you? I am the guest blogger here because I want you to go to My Elli's Hope my other blog where I talk about our adoption journey to Elli in China. Today I am giving a fun and somewhat tearful (I have to be honest there are just some aspects of this adventure that bring me to tears in the midst of the joy) overview of the last (almost) year up to the present. It gives you, if you've never been there before, an up to date listing of where we are in the process and where we need to go. There are some pictures and great stories and a few prayer requests. So, grab your mouse, click on the link and saunter over... It's a pretty fun place to be. What I wish I was reading and am hoping to get to soon..
A wife, a mother of 5, a follower of Christ, a teacher, a mentor, and one not deserving of the eternal life bought for me at such a great price.